Joe's 3D Workbench: Where shall I go for stuff? Where shall I go for stuff? 2 years ago there was only 1 home for 3D printable stuff. The world kaotao'd the mighty thingiverse. But it seems like every month I'm learning about a new repository popping up, and I'm starting to like some of them. 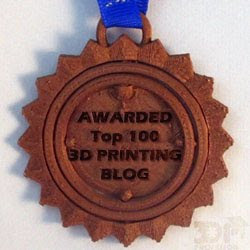 https://www.youmagine.com - **** When I decided I was done with Thingiverse there was really only one place I could go. While it lacked some of the features of Thingiverse, at least it wasn't thingiverse. They don't offer a paid option, but there's new stuff being uploaded there almost every day. https://pinshape.com - **** PinShape quickly rose to be my number 2, and it's a close 2 at the moment. They provide an option to post free, but also sold models? Yes please. They have all the licensing options I could ever want. I like their uploading interface. PinShape makes it easy as a content creator to control my stuff. And there also getting new stuff uploaded every day. They've recently decided to move their focus towards more FFF friendly models and I couldn't be happier with that. Sadness. Or not. http://3dupndown.com - *** A new comer to the scene but quickly rising in popularity with me, especially since I mentioned that I probably wouldn't be able post my models to them, they offered to import them from Youmagine for me. That's service. They have an interesting model. They run ads, like many sites, and pass 70% of the ad revenue on to you as a content creator. It seems crazy, but in this Wild West 3D printing world, crazy may just work. http://3dsha.re - ** This one lacks a lot of the license options I want. But stuff I upload gets noticed and I've even made a little money with them. I do like their upload interface; literally throw all related files and pictures at the browser and it sorts them out for you. They even have a paid option, but it's $0.99. Only $0.99. Think your stuff is worth more than $0.99, well not here it isn't. http://cults3d.com - *** Free and Paid. Not sure why I don't go to this one more often. It's interface is solid, it let's me edit my stuff, I should like it more. I just... forget. http://www.threeding.com - ** I don't like this site. I can't edit my uploads once I've posted them. There's no community. And yet when I upload my stuff here it gets noticed. Go figure. http://myminifactory.com - ** I want to like myminifactory more. They're trying so hard, and they've got some really great stuff. But everything seems half done, they're always "about to" everything else, you don't control the stuff you upload, and they sell prints of them without compensating you. http://www.ponoko.com/ - * Free and paid models and printing services. Clunky interface for both creator and buyer. Hard to be found. They recently updated their interface but I haven't checked it out. http://www.cgtrader.com - *** Free, paid, and streaming. Solid. They're only lower on my list because I really don't have a lot of time to keep updating every repository every time I upload something. I've got cool stuff to make. http://libre3d.com - * Free. Ran by a buddy of mine. He keeps my stuff on there. But it's a bit difficult to navigate from both sides, designer and consumer. http://cubehero.com/ - ** Free only. Seem dead. https://www.3dagogo.com/ - *** Free, paid, verified. MIA? http://3dlt.com/ - *** Free, paid, and streaming to your printer. http://treasure.is/ - *** Free, paid, verified. Doesn't seem very active. http://www.makershop.co/ - ? Free only? http://www.print3dmart.com - ** free, paid, streaming and print services but no licensing option and a minimum $3 selling price. http://www.3d-arena.com - ? Free, paid, licensing. http://www.formsfield.com - ? Free, paid,but dubious licensing. http://b2b.partcommunity.com/ - ? Free only. Seems... rough. http://www.3dshook.com/ - You can't upload your models to them, but they've got lots of great ones. thingiverse - * Free, active. But I don't support them since evilest timeline Bre killed his counterpart in this reality. You can tell it's the evilest time line because he has a beard. I wish I could maintain my collections on more of these than I do, but I'd practically need a secretary, and I can barely afford to pay myself. One day I'll catch up with my uploading. So is there a repository that I missed? What's your favorite place to host or find 3D models? Great comparison of 3D repositories! Just started 3D printing a few weeks ago, looking forward to printing out a lot of cool stuff. A good set of models. not many ready for 3D printing, but a good set of models. Maybe I missed it in the text but what was your reason for ditching Thingiverse? I've been looking into other repositories but haven't found any that's just as easy to use. At the time I was harboring a lot of resentment for some of the business decisions they made that I felt alienated their supporters. Now I just want an option that will allow me to set a price, which they still won't do.